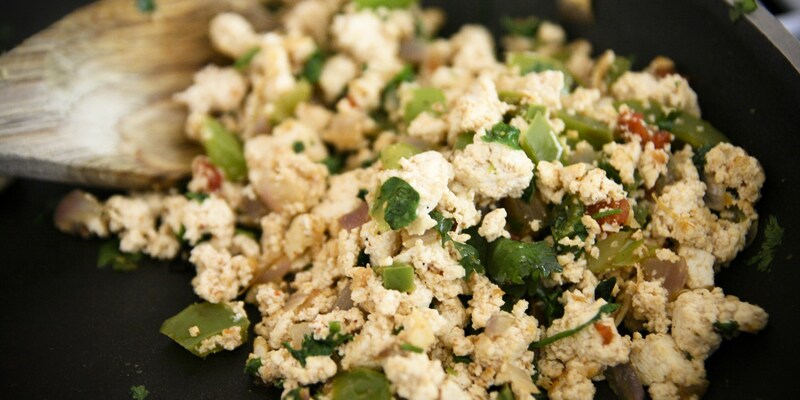 Use firm tofu for scrambling as it can be crumbled to create the desired texture. Bought in a block, firm tofu can then be sliced or diced for use in a range of recipes - from salads to casseroles. Ideally, buy fresh tofu from Asian supermarkets – this must be eaten on the same day as purchased, but is better quality. Tofu has a delicate and subtle flavour and is an extremely versatile ingredient. Scrambled tofu makes a delicious vegan breakfast option. Try to dry the tofu out a little before using to prevent it from becoming too soggy. You can flavour the scrambled tofu with soy sauce, turmeric, garlic, fresh herbs, salt and pepper. Serve with your choice of vegetables.